Today I am part of the blog tour for Disbelief and I have a guest post from the author to share with you. 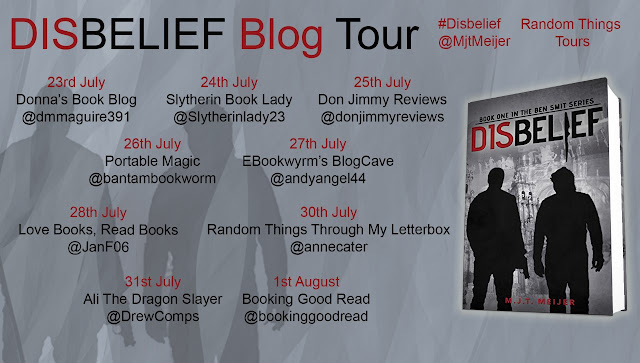 What inspired me to write Disbelief? Being a (former) hypnotherapist as well as co-facilitating emotional intelligence workshops in Dubai, I’ve always had a keen interest and curiosity regarding people’s motivation. A career that won’t allow you to discuss anything regarding clients’ lives, encourages people to talk more freely and as such, the seven years I spent in the Middle East allowed me to gain a real insight into people’s emotions and decision making. Why they do what they do, what triggers an action, what moves someone, what inspires or compels them to change their belief about another person, a situation, the way they see the world. It also showed me just how many of us continually search for guidance to confirm that our beliefs and values are the right ones. Which brings me to religion and the power of belief. A belief says something about the way we choose to perceive the world. They are the glasses we wear on a daily basis through which we view the world. They are the things we decide we prefer to think are true, based on information we have absorbed throughout the years. Beliefs are based on our perception of life, while at the same time our perception of reality reinforces those beliefs. It’s a vicious cycle; belief preceeds perception which creates reality, which, in turn, reinforces that belief. When situations or events occur that challenge our reality, that threatens how we experience the world, that affects our way of life in any way, we are forced to revisit and reevaluate what we belief to be true. Changing our belief, how we view the world and the people in it, can be quite a difficult thing to do, especially when we feel forced to do so due to other people’s actions. We all have an internal dialogue and we all prefer to believe what we tell ourselves. Why would you not believe your own truth? But when that belief is challenged, we are forced to respond. And that process, I find immensely interesting. At the core level of your being, how have you become who you are today? Who told you certain truths about yourself and do you ever lie to yourself about who you are? What needs to happen in order for you to believe something different about yourself, about the world? What has happened, that caused you to change your perception of reality? These are only a few examples of questions I ask my characters when writing a book and to be honest, even though this is the first in the Ben Smit series and I do love Ben a whole lot, my favorite character in Disbelief is Sophie. Sophie is a mixture of seemingly contradictive character traits; she’s a strong but feminine and sensitive young woman who, spoiler alert, you’ll find out in the first chapter, is also a compulsive serial killer. To write a likeable serial killer was quite enjoyable. Another favorite is James Edwards; it was rather fun writing a narcissist and providing some background for him to show how he became the person he is in this book. Writing has, off and on in my life, been something I’ve wanted to do and five years ago, on New Year’s Eve, I made it a plan. I gave myself a year to write a book I’ve always wanted to read, and I did. I was recommended an editor, and her telling me I was a great story teller and I should not quit after the year was over, formed the start of my writing career. I thoroughly enjoy dreaming up new story lines, characters, connecting plots, and creating twists and turns that are unexpected, while giving the reader enough to do some successful sleuthing of their own. I’m often asked what I struggle with as a writer; the lonely days behind a desk, having to delete thousands of words because you realized too late what you wrote is, excuse the language, crap, the amount of times your work is rejected by publishers and agents, yes, it can all be somewhat challenging but I’ve taken to treating it as a job. The hard part is to keep believing in yourself and your abilities. I never dreamed of being a writer. I just decided one day that was what I wanted to do and I did it. It wasn’t a dream. I made it a plan. 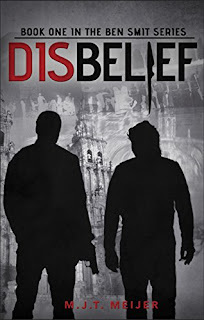 Disbelief by MJT Meijer is available now in paperback or ebook in all good book stores, on Amazon USA, Amazon UK, Amazon AU, Barnes and Noble, Booktopia, Book Depository, etc. Multiple mass-poisonings at pilgrimage sites throughout Europe. Sophie Pearson, a successful artist, created paintings of the horrific events before they occurred. There are more sketches, implying other attacks are yet to take place. What does Sophie know? Who does she know? A serial killer, leaving dead bodies in five-star hotel rooms in the city of Amsterdam. James Edwards, multi-billionaire and founder of the ALA - the Atheist Liaison Association - has an alibi for the time of the poison attacks. But is it a coincidence he's in Amsterdam at the time the serial killer hit? It is up to Chief of Europol Dave Johnson and police consultant and psychic medium Ben Smit to figure out if both cases are connected. They must unravel the ties between past and present, or more lives will be lost. One thing is for certain - they wont all make it to the finish line! M.J.T. Meijer was born in 1970 in rural Holland. Although her parents named her Maria, they’ve always called her ‘Tam’ or ‘Tammie’. 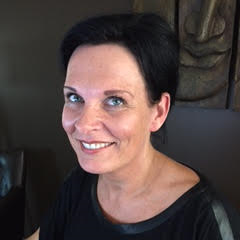 Having lived in different countries she speaks several languages and currently resides in Brisbane, Australia, with her husband and son. While living in Dubai and practicing as a hypnotherapist and guest writer for a local wellbeing magazine, Tam formed the inspiration to write Misguided, the first in the Sam Jansen series. Writing the sequel, Misjudged, seemed a logical next step. Tammie believes she has successfully managed to further develop the characters whilst creating a new story line with as much suspense as Misguided, ensuring both novels make for a riveting read on their own. The third in the series featuring psychic Samantha Jansen is next in line and currently boasts the working title Misconstrued. Once she finished Disbelief, introducing medium Ben Smit and Dave Johnson, head of the Europol homicide team, Tam decided it should be the first in a series and keenly started work on Disregard. Once that manuscript was polished and finetuned, she took six months to sidestep the genre for a moment and focus on something a little more light-hearted, which resulted in A Spade and a Bottle of Port, a humorous crime with a touch of romance. Tam is currently finishing Disorder, her fifth suspense novel and third in the Ben Smit series. Tam’s work is themed on the balance of light and dark, of twisted minds and loving souls, of murder and chaos and karmic consequences creeping into people’s lives, forcing them to change and adapt. Initially, it was Tam’s ambition to write the novel she herself would love to read, and that continues to be her main driving force. In November 2016, she submitted her short story Perception, to an online literary magazine’s annual competition open to writers from all Commonwealth countries. After the judges reviewed the thousands of entries, her work was shortlisted for inclusion in the anthology.